SANTA CLARA, Calif. – February 5, 2014 – FileMaker, Inc., today announced that its FileMaker Go for iPad and iPhone apps have surpassed 1,000,000 downloads from the iTunes App Store. The milestone confirms the continued popularity of the FileMaker Platform for creating custom business solutions that run on iPad and iPhone. 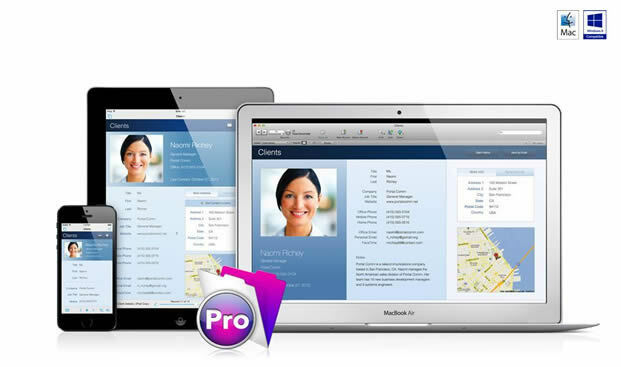 The FileMaker Go for iPad and iPhone App is part of FileMaker’s comprehensive lineup of desktop, server and iOS software for creating custom business solutions that run on iPad, iPhone, Windows, Mac, and web browsers. The FileMaker 13 Platform includes expanded support for native iOS behaviors (such as popovers and slide controls) and new features (such as bar code scanning) that speed data capture on iPad and iPhone. FileMaker Go is now a single app for both iPad and iPhone. The FileMaker Go 13 for iPad and iPhone App is downloadable for free from the iTunes App Store. Businesses of all sizes and across many industries are benefitting from custom business solutions built with the FileMaker Platform and FileMaker Go for iPad and iPhone. The Austin Convention Center (ACC) in Austin, Texas, equips its maintenance and technical service teams with iPads running a custom FileMaker Go for iPad business solution. The solution saves endless steps for workers in the six-block-long facility, eliminates paper and faxes, improves customer service, and racked up a 200% ROI and a four-month payback period for the ACC. Abbott Northwestern Hospital (Minneapolis, MN) uses the FileMaker Platform to streamline the process of tracking physicians and residents being trained in bedside ultrasound. The hospital’s custom business solution uses the iPhone to record results from bedside ultrasound exams in real time to determine if physicians and trainees have met hospital requirements to be properly credentialed in use of the technology. Fortune 500 company Henry Schein (Melville, NY) has armed more than 800 of its Henry Schein Dental sales consultants with iPad business solutions to improve sales effectiveness and reduce waste. The company’s FileMaker solution provides access to the right sales information about tens of thousands of products at the right time, enabling sales consultants to assemble and print out personalized reports on the spot. Entrepreneur George Page, owner of Sea Breeze Farm, deploys FileMaker software to create several custom solutions that run on the iPad and integrate his various business operations. Page estimates that the new solutions have made his business three to four times more productive. Sea Breeze Farm is a grass-based animal farm on Washington’s Vashon Island that boasts a dairy, butcher shop, winery, cheese business and popular restaurant.